ESET®, a global pioneer in proactive protection for more than two decades, announces that Iva Peric-Lightfoot has been named Country Manager for Canada. Peric-Lightfoot will oversee ESET’s new Toronto office, with a focus on channel sales, marketing and distribution. The appointment is effective immediately. With more than 20 years in the information security industry, Iva Peric-Lightfoot has significant experience developing and implementing national and international channel strategies. Peric-Lightfoot joins the company from Navarre Corporation, ESET’s distributor to the retail channel in Canada, where she was charged with directing Canadian distribution for the past two years. Peric-Lightfoot spent the majority of her career at Symantec, a global internet security company, where she had responsibility for the overall strategy, management and development of new Canadian markets. While at the company, Peric-Lightfoot built channel distribution businesses for both the consumer and enterprise market segments, while exceeding profitability projections. “As a longtime admirer of ESET's spirit and the quality of their products and services, I am excited to be heading up their new Toronto office,” said Iva Peric-Lightfoot, country manager for Canada at ESET. Together with the existing ESET research offices in Montreal, this new expansion into Toronto, Canada’s largest technology hub, strengthens the North American sales and marketing operations to better meet customer demand across Canada. For more information on becoming an ESET Channel Partner in Canada visit, https://www.eset.com/us/partners/ . 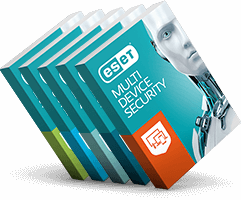 ESET products are available at a number of Canadian re-sellers, including Best Buy and Staples. For more information, visit http://www.eset.com/us/partners/reseller/.